RCUK is a partnership of the seven UK Research Councils and the policy will affect any research funded by any one of the Councils: AHRC; BBSRC; EPSRC; ESRC; MRC; NERC; and STFC. 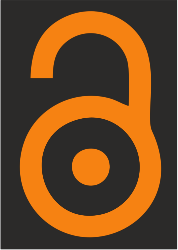 Open Access is about ensuring that the results of research, especially publicly-funded research, are available as soon as possible to anyone with an internet connection. It allows these results to be reproduced and re-used in a way which is free from most copyright and licensing restrictions. ...involves making a publication Open Access on the publisher’s website as soon as it is published. Usually this will involve the payment of an article processing charge (APC) and RCUK-funded researchers from York may be able to apply to the York Open Access Fund (YOAF) to cover these costs. ...involves depositing the final, peer-reviewed manuscript to a suitable repository – this will usually mean the White Rose Research Online (WRRO) repository. Publishers will usually require an embargo period before published papers can be made available online and these can be set in WRRO. RCUK policy requires an embargo period of no more than 6 months for sciences or 12 months for social sciences, arts and humanities. RCUK describe their policy as “a journey, not an event” and anticipate a 5-year transition period before 100% compliance is reached. For the first year they are expecting 45% of RCUK-funded papers to be made Open Access and will not penalise those that do not make there work Open Access. However, we would like to see as many York research results as possible made Open Access, whether you are funded by RCUK or not. Making work Open Access is a great way to promote both you as a researcher and the University as a whole. There is evidence to suggest that making work Open Access can greatly increase the amount of citations it gets. The Library can give advice and support to help you make your work Open Access and to comply with funder policies.